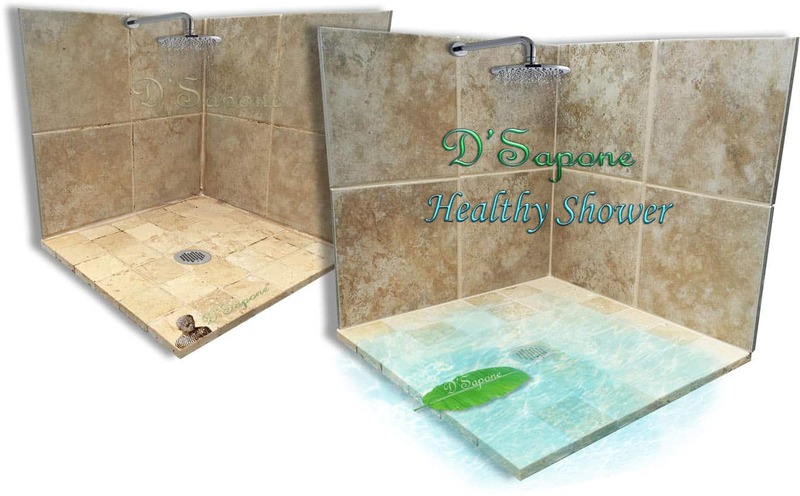 Enjoy a ‘Healthy Travertine Shower’. Our Atlanta artists prep and clean the stone while eliminating stains and sealers from the surface. Prepping is one of the most important keys to achieve a successful restoration. 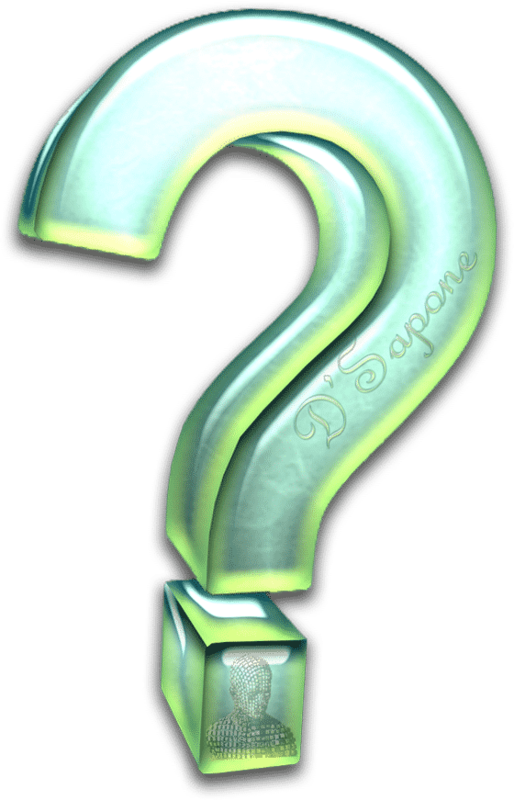 Caulk, causing mold, mildew and peels away from the surface, has finally been eliminated by D'Sapone®. We apply Sentura – a two part pigmented flexible epoxy/resin, instead of caulk. 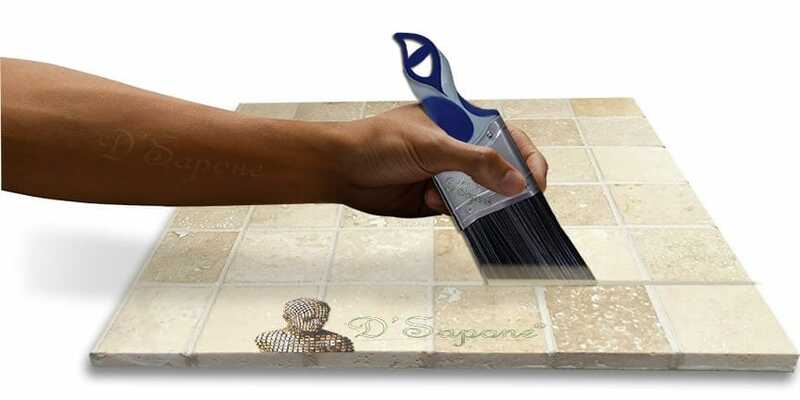 We color seal the grout with a 2 part pigmented titanium resin – Caponi®. It is a chemical resistant sealer, which will never peel and wear off the mortar. We will make your grout stain free for a long time with a 5 year labor warranty. 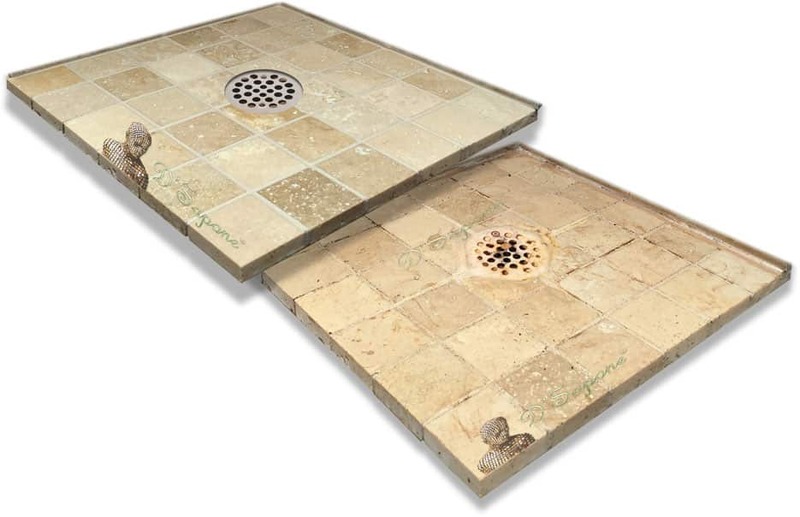 A successful travertine shower restoration service comes with a sealing process. 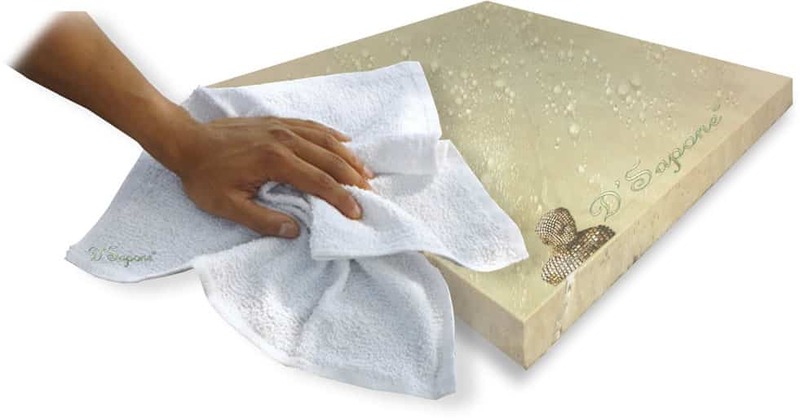 Cleaning stone only eliminates the mold, mildew and stains, but it doesn’t stop future staining. 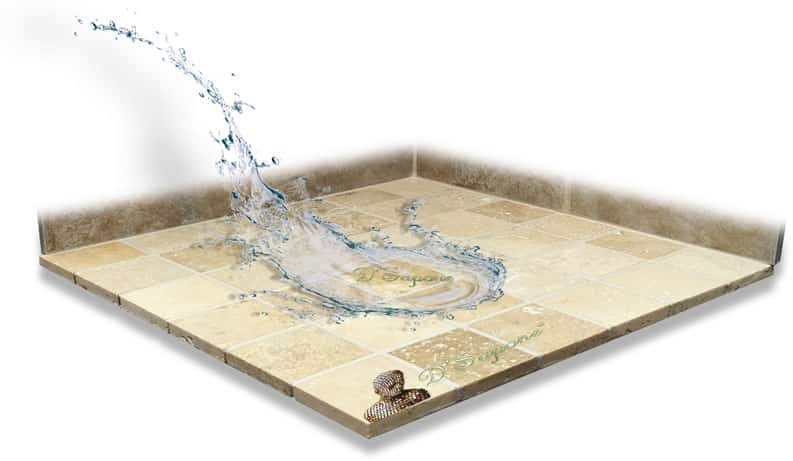 Our “Healthy Travertine Shower” includes a Repela-Bond sealing process, preventing the stone from mold and stains. 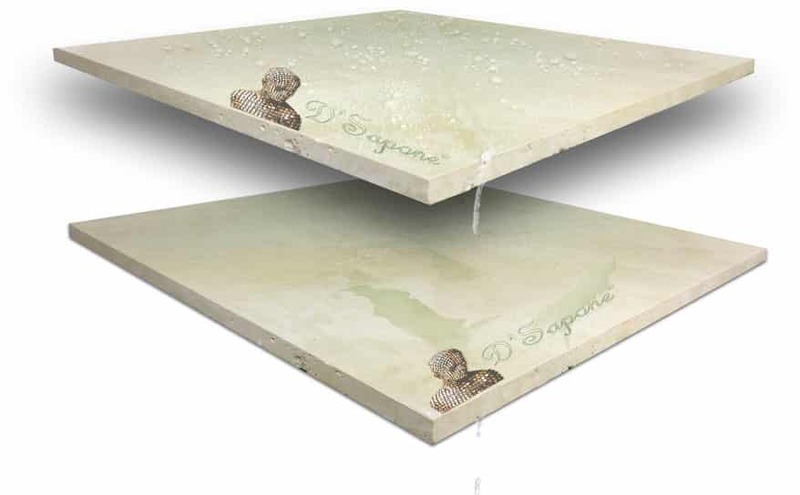 One of the most durable sealers in the world – Celine not only seals the travertine, but also makes the surface hydrophobic. It is a natural look penetrating sealer, soaking deep into the stone preventing it from retaining liquids, giving birth to mold. Efflorescence is a white substance, filling the drain and takes place over the entire surface. It results from the migration of soluble salts that originate from masonry. Our Atlanta artists will not only remove the efflorescence from your shower, they will also achieve that look you strive for. 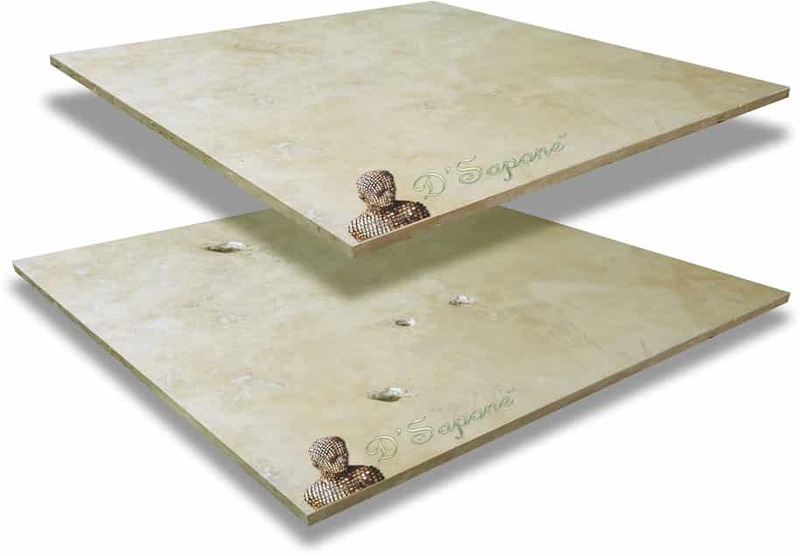 Repairing the holes of travertine with a regular filler or grout is just a temporary cure. We color match Sentura to the stone and then, rectify this issue with the same product, leaving the surface with a lush natural look. 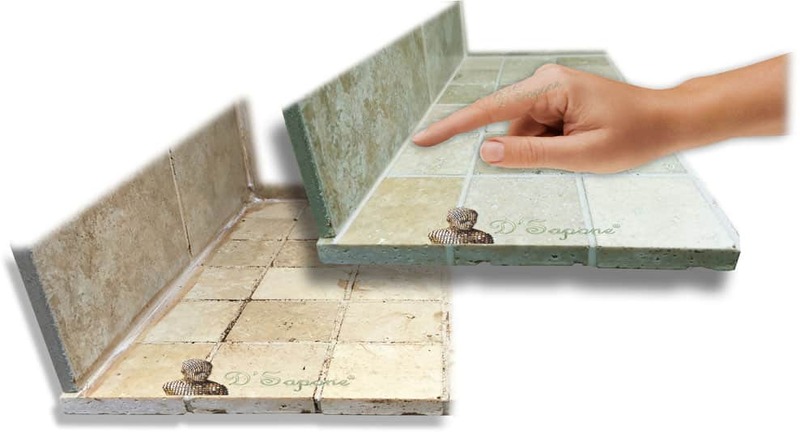 After we restore your travertine showers, you can maintain it yourself for a lifetime with a green product – Valore. It comes in a ‘Healthy Care Kit’ and makes the shower look new with a 5 year labor warranty. Travertine shower restoration service in Atlanta. We offer a 5-year labor warranty on all of our healthy shower and healthy floor systems. Yes, pFOkUS® offers a 10-year warranty on all of their products with the “Healthy Care Kit” protection. 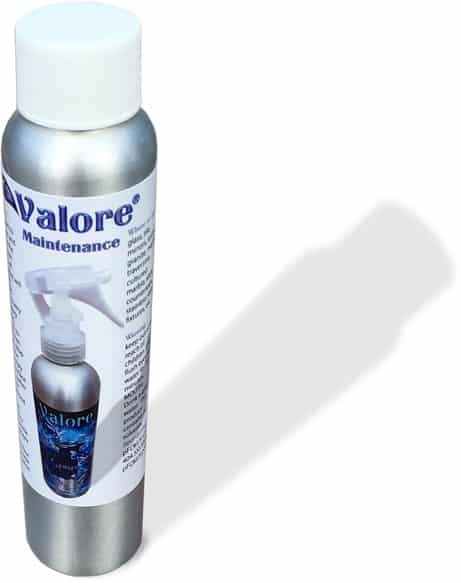 This kit includes Valore to clean & protect your surface. Yes. Our goal is to create an immaculate shower with our quality travertine shower restoration service in Atlanta. Once we perform our travertine shower restoration service in Atlanta, wait at least 24 hours before showering. The question speaks for itself. 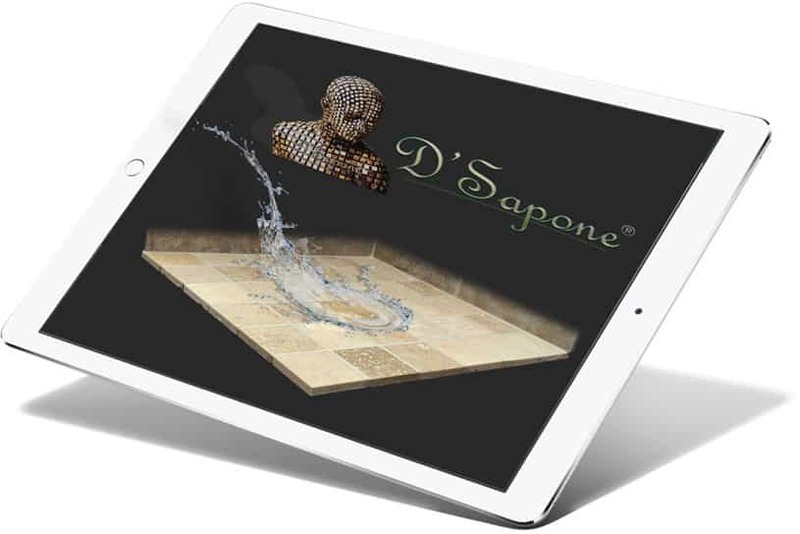 We are passionate artists performing the best travertine shower restoration service in Atlanta.